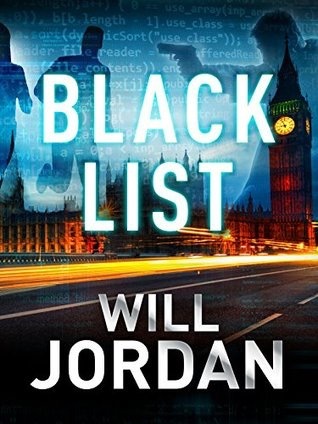 With no money, no prospects and a long list of computer crimes against his name, Alex Yates’s life is going nowhere until he is given a lucrative but dangerous offer – £100,000 to hack into the Central Intelligence Agency’s network and recover a file known only as the Black List. At first reluctant to get involved, the disappearance of an old friend leaves Alex with no choice but to return to a world he’d sworn to leave behind. But before he can unlock the secrets contained within the file, he suddenly finds himself the target of an nationwide manhunt. Someone wants him out of the picture fast. I’ve had Black List on my kindle for far too long, and I’m working my way through the backlog this week so this was next on my list. My first question when I came up for air with this book was why did I leave it so long?! Black List is bloody brilliant!!!! It’s got everything you could want in a thriller! I am late to the Ryan Drake series, but I will be buying the entire back catalog on the back of this book. Black List is so full of action that I found myself flying through it. I didn’t want to put it down once I got stuck in! Will Jordan has an excellent story telling ability. Feeding you little bits of information, but leaving just enough to keep you reading. At no point in this book did the plot drag. It’s full of dynamic and interesting characters with some seriously cunning bad guys thrown in for good measure. There is mystery, intrigue, corruption and so much more in Black List. It reads like it should be a big screen blockbuster which I love. I would highly recommend it, and I’m pretty sure I will say the same about all of the books in the series! Have you read anything by Will Jordan? Would you read Black List? Let me know in the comments! Sounds like a great read, I’ll have to check out this series. Great review as usual.